Annual Picnic and Annual Celebration! Please mark your calendars for two fun events in August and September. Reservations: None. This event is for STPC members and guests. Cost: Zero! Your club is paying the reservation fee and supplying tennis balls. 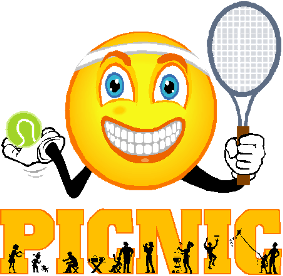 Potluck: Bring your own beverages, a dish to share, chairs and your racquet! What’s to do? Lots of tennis courts, so bring your racquet. Come for an evening of fun! All members welcome. Captains Free! Reservations: Send registration form by Monday, September 10 with check payable to STPC to Pam Campbell, 4934 Bryant Ave. S, Minneapolis, MN 55419.